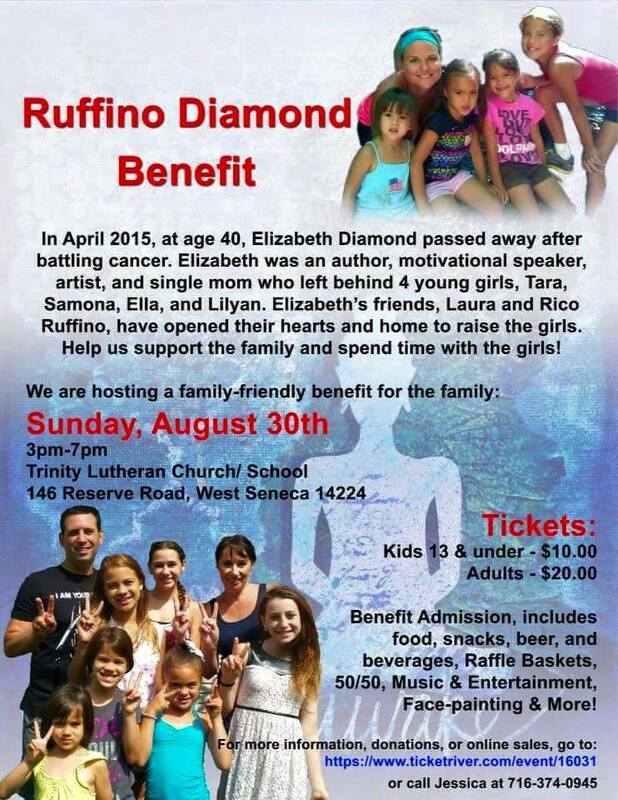 Sunday August 30 is the benefit for Liz Diamond’s daughters. 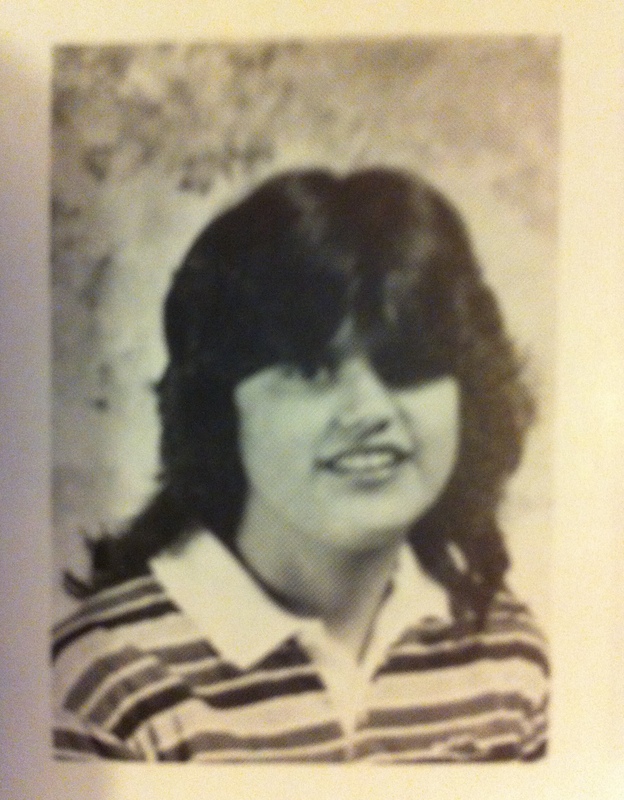 Meanwhile I learned another friend from Trinity is in hospice care, losing her battle with breast cancer. My thoughts and prayers are with each and every person living with the pain and loss that comes with this disease. 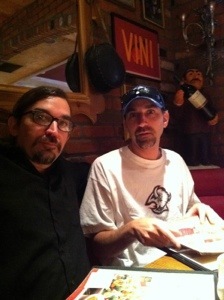 August 24, 2015 would have been my brother-in-law’s 40th birthday. He is missed. Age of Discretion – HELP! Rachael Hosking behind the wheel. Okay so she had an adult in the car, but it was her mother who cannot drive. Rachael did very well on her quasi solo drive. She drove me over to the library and then we went to the dollar store and pet store all the while she kept repeating, I don’t know why they gave me a license. I can’t drive. Well I don’t know what to tell you, but we made it to all those places and back home safe and sound, kid. I think her dad did a pretty good job of teaching her how to drive and obviously the proctor at MVD thought so, too. This past Thursday she got senior class info (rings, announcements, cap and gown) and she filled out her application for ASU. Good grief how did we get here so quickly. She was just born yesterday, right? Yesterday was a busy AND successful day. Because Rachael only has one class (plus vet science) until college courses start on the 24th, she decided it was time to bite the bullet and take her road test. 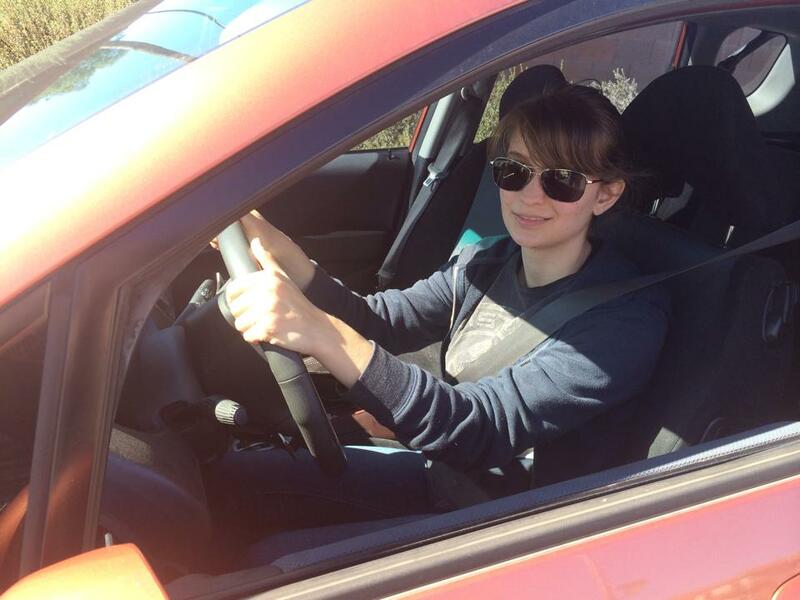 She got her permit July 9, 2014 and didn’t feel confident enough for the road test. You know you have a great friend when she drives you and your mother over to the MVD to renew your permit. So permit was renewed before our trip to California and we got to see the new Terminator movie that day. Once we got back from California, Rachael practiced more driving, but didn’t get much done parallel parking. She wanted to take the road test August 4th before school started, but panicked. Finally this past weekend with triple digit record temps, Rachael and dad spent plenty of time parallel parking. And after I heard word she passed and we were celebrating with Pei Wei, I was shocked to see dad pulling into the driveway. It seems she was done driving for the day, the road test was nerve wracking enough. Plus she had vet science in the afternoon, so mom and Gretchen still needed to bum a ride for the orthodontist. We walked over and Nonnie was able to pick us up after work and bring us home. NOTE FROM THE AUTHOR: My youngest daughter had her 8th grade promotion in May. She wanted to celebrate by going to Disneyland. We enjoyed the park’s 60th diamond celebration in July. 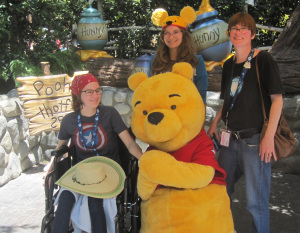 AUTHOR’S NOTE ON THE PHOTO: Gretchen (graduate), Rachael (pooh ears), and me posing with Winnie the Pooh July 15, 2015. The first day of school for freshmen was Monday August 3rd. Rachael didn’t start until Wednesday but she was up bright and early to walk her sister to the bus stop. Yes, I have a terrible time getting pictures of Gretchen. The Disney photographer actually caught the girl with a smile on her face when we met Elsa and Anna. I was impressed. Since the first day is freshmen only, there were only three kids at the bus stop. I wrote my #haikuchallenge Monday about it. Agua Fria starts super early 7:20am except Wednesdays which are late start. Monday only three kids showed up at the bus stop; Tuesday the first day for everyone only four kids were there. I figured high schoolers were “too cool” to ride the bus. But Wednesday when the bus picks them up at 8:15 about a dozen kids were there. Yesterday at 6:45 there was still a good number, but it went down slightly this morning. Well first week of school complete thirty-nine to go.